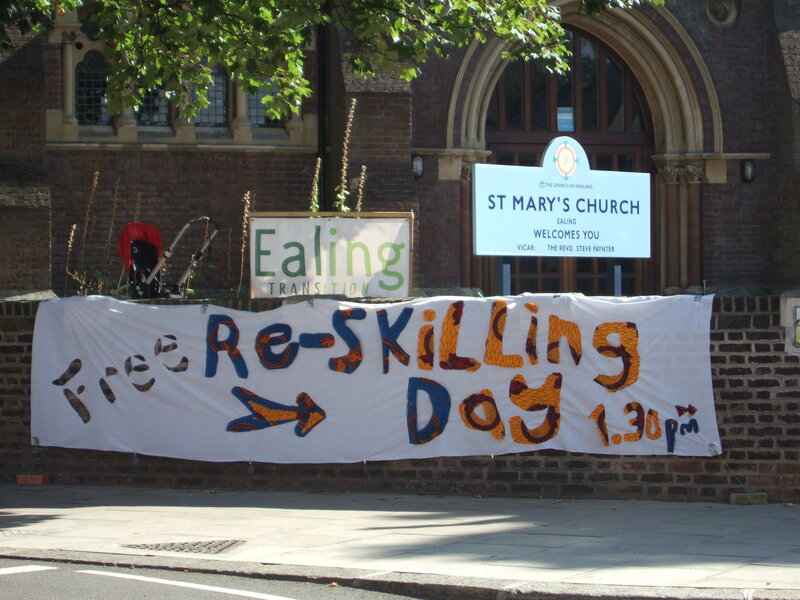 We are running our third annual Family Re-skilling Day on Saturday 19th October, from 1.30-6pm. As usual the event will be held in the Polygon, St. Mary’s Church. Previous events have proved very popular, with a focus on learning – or re-learning – skills, getting to know other people and families in the local community, with food, drink and music at the end of the afternoon. 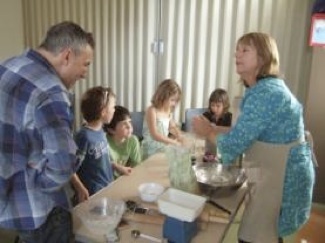 Our blog gives you a flavour of Family Re-skilling Day 2012. Last year over a hundred people came through the door, so it really is an exciting and fun day. ADDITIONAL PLANNING GROUP MEMBERS NEEDED NOW! Right now we are looking for some help in organizing the day. 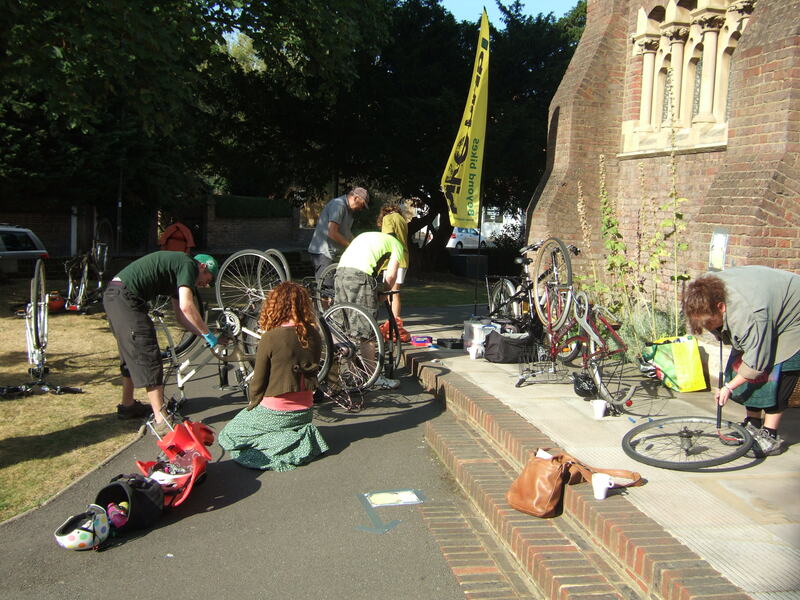 If you have organizational and practical skills – or merely boundless enthusiasm – and would like to join some of us to help get the day off the ground, then please contact the Steering Group steering@ealingtransition.org.uk The next meeting of the planning group is on Thursday 13 June at 7.45pm. We would also be interested in hearing from anyone who can offer a workshop for an hour or more through the afternoon. Some workshop facilitators from last year have already agreed to run another one this year. In the past we have had sessions on learning to knit, sewing, make do and mend, bee-keeping, cider-making, creating and using a pizza oven and rocket stove, animal husbandry including keeping pigs and chickens, bicycle maintenance, foraging and making bread, pizza, cakes, jams and chutneys (and a whole lot more). All topics will be considered, as long as they help people achieve a more self-reliant, less resource intensive lifestyle, or help to build community.